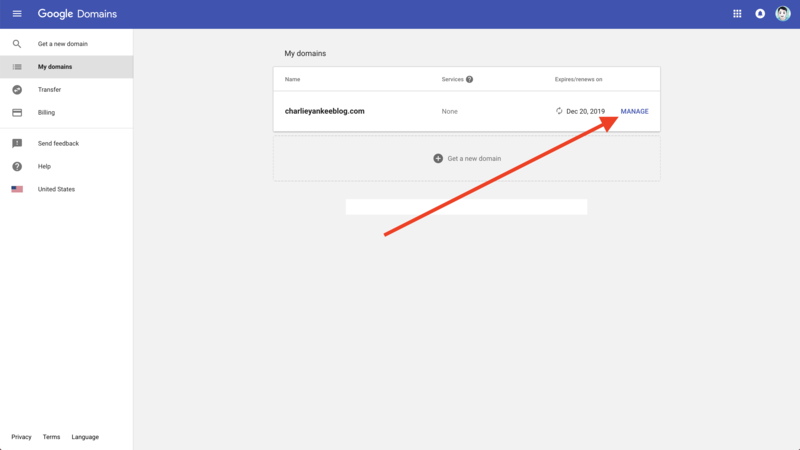 Github pages is easy to setup, but to attach a custom domain with google domains, you may run into problems. Here is how you can do it in 4 steps. Incase these are outdated, you can also find the latest ones at github. 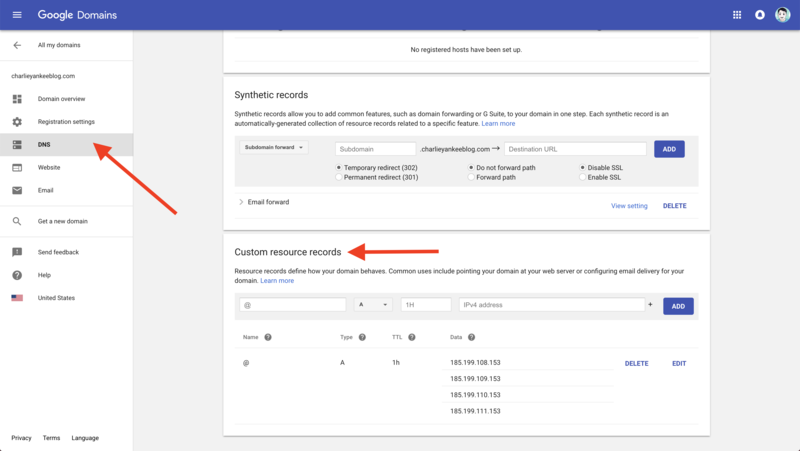 Once the above is successful, your custom domain should work correctly. Go to your domain and take a look! www.trentyang.com. 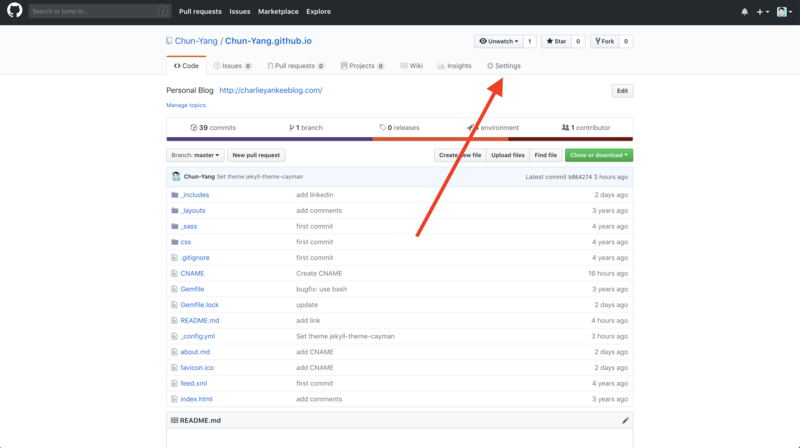 1263 IN      CNAME   chun-yang.github.io. Go to your github repository settings page, under Settings > GitHub Pages > Custom domain remove your custom domain and save. Then add it back and save again. 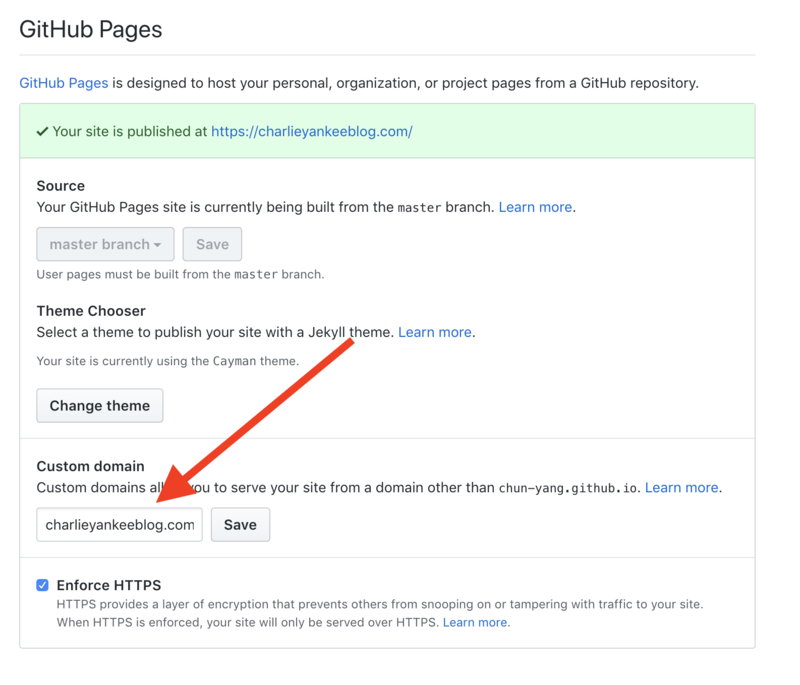 Now you should be able to check the “Enforce HTTPS” checkbox and secure your site!